If I fail to satisfy the judge that my injuries caused me to miss work since the crash, does that mean I won’t receive compensation for future income loss? What if the evidence is clear that my work options are significantly reduced due to my injuries? In last week’s decision McNeilly v Pollard (2016 BCSC 1604), the plaintiff worked in the logging industry. At the time of the collision, he was working as a heavy equipment operator in a logging operation. In the collision, he suffered a labral tear in his shoulder, and required replacement of his right hip joint earlier than would have otherwise been required. His non-pecuniary damages were assessed as $110,000.00. He made a claim for income loss incurred prior to trial. Using his payroll records, the plaintiff alleged that he suffered a loss of $2,000.00 in the pay period after the collision. The judge concluded that his payroll records did indeed show a reduction in earnings, but was not satisfied that the plaintiff had proven that the reduction was due to his injuries as opposed to other reasons such as a shutdown of logging operations. This was largely because the plaintiff admitted that it was too long ago for him to have an accurate memory. As a result of his MVA injuries, Mr. McNeilly is less capable overall of earning income from all types of employment. Before the MVA, he was fully capable of performing all logging-related functions. He now finds work on certain machinery such as a grapple cat to be too hard on him — and it makes sense he avoid the equipment that works on steep and uneven terrain so he can minimize jarring and vibration, thus prolonging the time before he needs to have his right hip replaced again. And because he is no longer capable of performing all logging functions, Mr. McNeilly would be less marketable and attractive to other employers should his work at WFP come to an end. In this sense, he has lost the ability to take advantage of job opportunities which might otherwise have been open to him. Recall as well that Mr. McNeilly has some history of self-employment in which he carried out all logging functions. Having some restrictions might cause him to be reticent about returning to self-employment or might require hiring others to perform work he would otherwise do. If there are periods of unemployment caused by his MVA injuries, Mr. McNeilly will be hard-pressed to replace his income by accessing or retraining for sedentary employment. The report of the vocational expert, Mr. Nordin, discloses that his learning ability score — a composite of verbal aptitude, numerical aptitude, and spatial perception — places him at the 5th percentile of the general working population. In other words, 95 percent of the general working population has a higher learning ability score. Mr. McNeilly’s math computation, spelling, word reading, and sentence comprehension test results show him performing in a range between grades four and eight. Various contingencies, both positive and negative, have to be accounted for in the Athey process of giving weight to hypothetical events according to their relative likelihood. The documents from WFP establish that pay increases are expected. There is a possibility — but far from a probability — that another hip replacement may be needed during the years Mr. McNeilly has remaining in his career. On the other hand, macro- and micro-economic vagaries and the possibility of industrial accidents must also be considered. I conclude Mr. McNeilly will likely earn just over $100,000 this year — an amount in rough accord with his income since the MVA (after adjustment for the income he has lost when disabled from working because of his MVA injuries). I assess his damages for diminished future earning capacity at $150,000, near the mid-point of one and two years’ earnings. 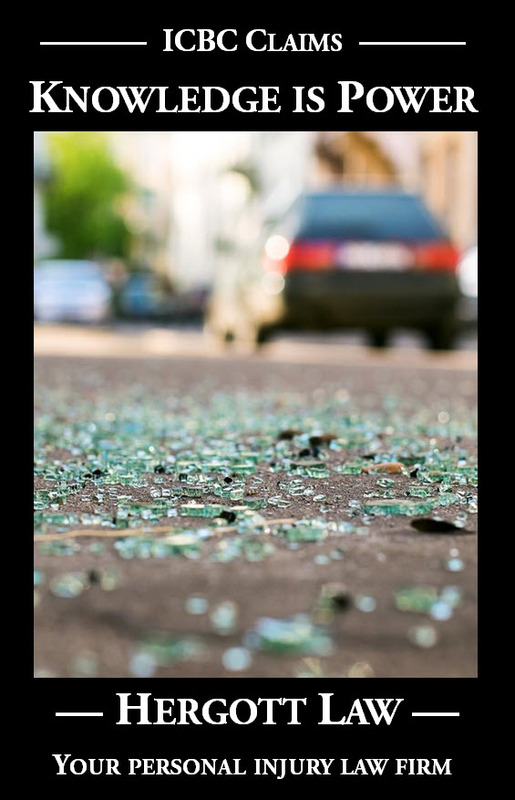 It is worth noting that in this case, the fault for the collision was split 50/50, so the plaintiff’s damages were reduced to 50% to account for his contribution to the cause of his injuries.